Welcome to the online home of Marcus Bondi. Marcus is Australia’s leading authority on physical fitness, nutrition and enjoying a healthy, balanced lifestyle. As an Official Guinness World Record holder and renowned athlete, Marcus’s unique philosophies, techniques and methods have helped thousands of people realise their highest potential. As a local of famous Bondi Beach, Sydney, Marcus has forged a global reputation as a leading practitioner and trainer in bodyweight strength and calisthenics. 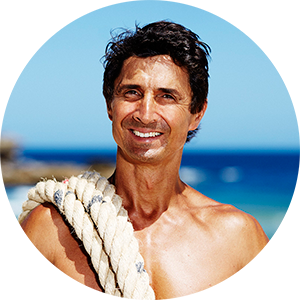 At the popular exercise area at North Bondi, Marcus has spent years refining his techniques and unique training approaches. After mastering his own body and breaking world records held by Olympic gymnasts, Marcus turned his attention to helping others master their total life balance. As a coach and trainer, Marcus has worked with elite athletes, soldiers, business leaders, and individuals of all ages, shapes and sizes to build lean, strong and healthy bodies and minds. Marcus regularly features in global media, including: Hawaii Morning TV, Sunrise 7 TV Australia, Men’s Health (USA & Australia), Men’s Fitness Magazine Australia/USA, Daily Telegraph, Wentworth Courier, MX, Rock & Ice, Channel TEN Evening News, ABC Mornings and Channel Seven News. Through his training and mentoring others, Marcus aims to inspire the world to gain all the benefits of living a healthy and happy life. The optimum physical, emotional, intellectual and spiritual attributes of life are easily available to those who treat they bodies with appropriate care. When he’s not training on Bondi Beach or travelling to fitness comps and expos, Marcus loves to spend time relaxing with his wife Emma and daughters Jasmine and Willow. Through this website, Marcus hopes to share his knowledge and expertise on training and life. You’ll find expert tips, articles and tutorials from Marcus and his team to help you get the body you’ve always wanted. For more comprehensive training and advice, Marcus’ e-books as well as recommended training equipment is available at the store. Marcus is dedicated to transforming the lives of others, not only through fitness. 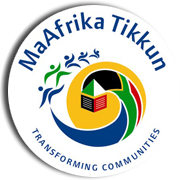 Marcus supports the MaAfrika Tikkun charity by donating 5% of all profits to help build practical, sustainable opportunities for children in South Africa.